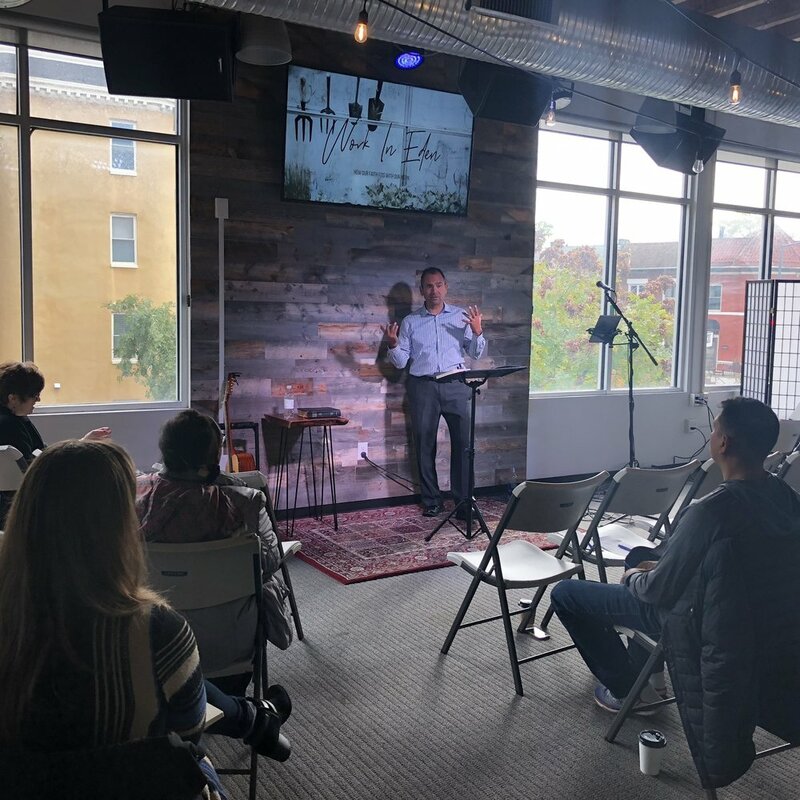 As Christians, we are called to follow Jesus in all aspects of our lives, and yet, for most of us, it is hard to see how our faith connects to our work even though we spend about 1/3 of our lives working. When we look at the Scriptures, we see that work is a gift, integral to what it means to be human, and that God wants us to flourish in our work, just like in all other areas of our lives. In this series, we are taking a look at why we work, how God uses our work, and what it means to be a follower of Jesus in the workplace. One of the centerpieces of Jesus’ message is the idea of rest…but it is a different kind of rest. Jesus calls it “rest for your souls.” When we make work our idol, we look to work to provide ultimate fulfillment and acceptance, and what Jesus is saying is that if we are living like that, it’s not only our body and our mind that is tired, but our soul, and no amount of days off will give us rest. We need a better, deeper Sabbath. So Jesus invites us and says “come to me" and I will give you the rest that you really need, rest for your soul. Living out the kingdom life means that everything must remain before the throne and under the authority of the ruler. Everything must be held loosely. What tangibles are you holding onto? What are you gripping tightly? Have they become your security? Are you a slave to some image? Some name you're trying to live up to? Some job? Some possession? Some person? If you cannot let it go, it's a priority to you. It is impossible to be a slave to things or people and at the same time be a faithful servant of God. The Gospel gives us the imagination to not only see our culture in a different way, but also be co-creators of our culture with Christ. Through it we can visualize our work with love and opportunity and use it to transform lives and bring the kingdom of God to earth. Work in a fallen world can be hard and frustrating and seemingly fruitless. But that doesn’t mean we should give up on the whole enterprise. Perhaps the best example of this is the relationship between God and humanity. God makes people and they disappoint, disobey and fight against Him, but He doesn’t give up on them. Even after the Flood and even after Israel’s rebellion. The story of the Scriptures is in part, the story of God not becoming hopelessly frustrated with His work, but keeping tending to His garden. If you are made in the image of God, and if you are a child of God, and if God made you and He prepared good works ahead of you, if you don’t see the implications of that in what you are doing right now, then you are going to waste a lot of opportunities… maybe there are things that you were meant to do you that you are not doing because you are not living in your vocation, in your calling, in the thing that God wants to do through you. When we look in the mirror, what do we see, do we see the image of God, or do we see our work? Our identity was supposed to be the based on the fact that we were made in the image of our God, when we make our identity our work, it becomes an idol, it is a cheap imitation of ourselves, because we are more than our work. Your work, your art, your organizing, your customer service, your answering the phones, and your accounting; when you are giving yourself over to God, those efforts, they carry the creation project forward to bring heaven into Earth.